Change creates both apprehension and controversy in us, and there is no better example of this than the changing of our food supply to include genetically modified, or GMO, foods. While some people may be fine with genetically altering the makeup of our food, others point to the potential for health problems stemming from unnatural, lab-generated modifications. But, just what are GMOs? And what is it that is so bad about them? The fact of the matter is, we don’t fully know what all of the risks may be, although we do have a good understanding of what they could be and already are. In fact, we have already seen the ill-effects of hybridization–a “natural” approach to improving a plant or animal species–so it would only make sense to be even more apprehensive of genetic modifications. In this post, we will go over some of the questions surrounding GMOs, what they are, and their negative effects on your health. 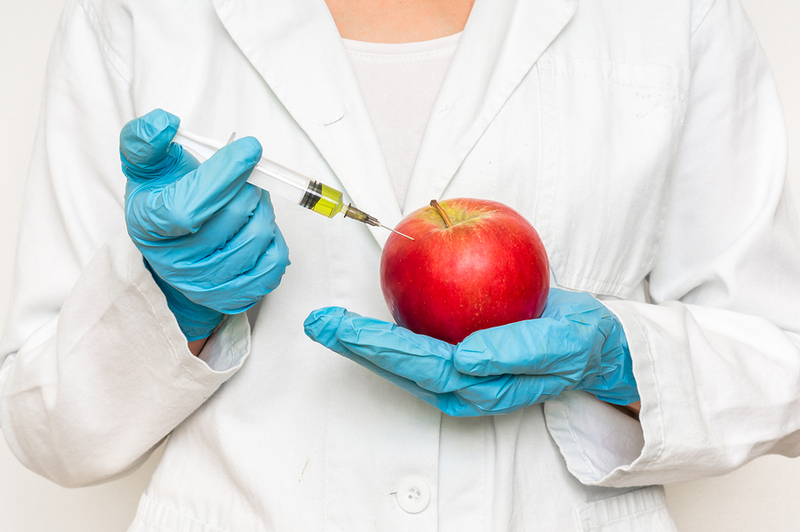 To start, GMO stands for Genetically Modified Organism, which means that the genetic makeup of the plant or animal in question has been scientifically altered. This is commonly done for such reasons as to enhance crop size, reduce a plant or animal’s resistance to pathogens, fungus, or disease, or to help crops become more drought-resistant as our climate becomes warmer and dryer. The process of creating a GMO entails scientists locating a gene in one organism which has characteristics that are desired in another. The gene is then extracted, copied, and inserted into the genome of the new organism, so that the desired traits are then present in the new host. While some may say that this is merely an improved method of hybridization, it is not. In fact, there are two problems here, one being the idea that creating GMOs is as harmless and safe as natural breeding, and the other being that there are already human health problems associated with hybridization— “natural,” or not. True, most hybridization may be just fine and have benefits outweighing any negative aspects. However, the fact that the process of hybridization can create something unhealthy for the human body tells us that altering something genetically is likely even more risky. What does Genetic Modification do to Food, and how does it Change its Structure? When an organism is genetically modified, genes are transferred past biological barriers which would normally disallow such an association. This allows unnatural things to happen to foods, such as apples which resist going brown, tomatoes which stay ripe for long periods after harvest, and, perhaps most concerning of all, crops which can withstand heavy pesticide and herbicide application. Since herbicide resistant crops allow farmers to control weeds with herbicides such as glyphosate without concern for it killing the crop, the tendency is for farmers to use even more of it. Unfortunately, this is not only harmful to our health and the health of the environment, but is likely creating herbicide-resistant weeds as well. Organisms can also be genetically modified for pest resistance, which, while seemingly a good thing which can help alleviate the overuse of pesticides, creates other concerning problems as well. For instance, Starlink corn is a strain of corn genetically engineered to use the Bacillus thuringiensis (Bt) gene to make the plant resistant to the European corn-borer. Unfortunately, and despite Starlink corn’s intended use only as animal feed and never for human consumption, some found its way into human food production—likely due to a lax approach to restrictions on the part of seed sellers. This led to millions of dollars of processed food having to be destroyed, rather than allowing the dangerous toxins to be consumed by the public. Another problem with plants using the Bt toxin is the pollen from such plants settling on leaves of the milkweed plant, which is a main food source for Monarch butterfly larvae. Since the pollen from the genetically altered plant contains high levels of Bt toxin, the leaves then become toxic to the larvae as it settles on them. This is particularly disturbing when we consider the iconic species has declined in population by over 68% in the past 24 years. In addition to the danger of accidental human ingestion of plants modified to include the Bt gene in their genome, there are some other concerns surrounding GMOs, as well. For instance, there are concerns that genetic modification of a plant can cause the development of diseases which are resistant to antibiotics. This is due to the possibility of viral resistance leading to new viruses and diseases. However, there are foods to look for and ones to avoid, as well as things to look for on food labels to help reduce you GMO foods health risks. In addition to buying 100% organic and Non-GMO Project certified foods, you can also shop locally from small producers, such as at farmer’s markets or your local health food store, many of whom are committed to selling only non-GMO products. Growing your own food is also a good way of keeping GMOs away, although not all of us have the time and growing area for this. However, most leafy green produce is safe, as are most other produce items, although this is subject to change. 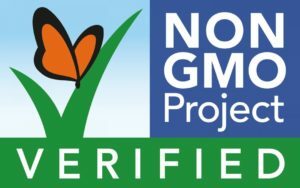 Unfortunately, the lack of regulation requiring GMO labeling also makes it a guessing game when it comes to identifying GMO foods, which makes sticking with 100% organic your best option when shopping.